Pretty.Random.Things. 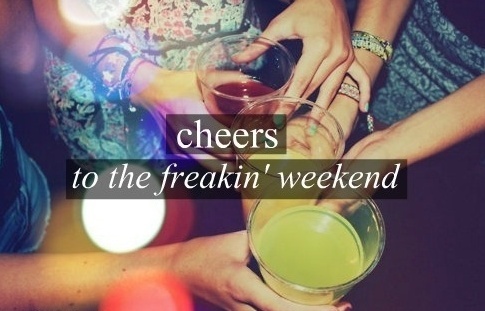 : Cheers to the freakin' weekend! Damn, I'm so happy it's finally weekend. What a busy busy week it was. So, what's everyone planning for the weekend? Sorry for the lack of action here on Pretty.Random.Things. I've just been going through a little uninspired phase lately. I'm sure I'll snap right out of it when things start to get more exciting around here. With Thanksgiving, Christmas and New Year's Eve coming up, there'll be plenty to ramble about here on the blog. I hope everyone has a lovely weekend. Have fun and be safe!